Well, it seems as though it’s gut week this week as another amazing study has been published that may make a few of you who eat 5-6 meals a day a little concerned. Especially if you have some sort of functional bowel disorder. If you read my last blog on the best way to prevent “leaky gut”, this data gives us a glimpse in to one way that hyperglycemia may induce leaky gut. In this study, researchers put mice through a 24 hour fast to determine what effect it has on intestinal stem cells. Intestinal stem cells(ISCs) are crucially important to a healthy gut and preventing it from leaking by replacing damaged and dying cells. Of course, as we get older, we have fewer intestinal stem cells which likely contributes to our declining gut health in old age. Their findings were pretty amazing. A 24 hour fast promoted a doubling in the regeneration potential of the intestinal wall in young and old mice by boosting stem cell regenerative capacity. Let’s take a deeper look. To determine why fasting promotes a greater regenerative capacity of intestinal stem cells, the researchers began tinkering around with metabolic pathways. They found that blocking the rate-limiting step in fatty acid oxidation in intestinal stem cells reversed their regenerative capacity. In other words, using fat for fuel programs intestinal stem cells to regenerate the gut wall. They also used a pharmaceutical drug to stimulate fatty acid oxidation. When they did, they saw an even greater improvement in ISC regenerative capacity in old mice. Investigating a little further, they found that older mice have an impaired capacity to use fatty acids for fuel when compared to young mice. This may be due to impaired mitochondrial function. As we get older, our ability to regenerate the cells that make up the wall of our gut decreases. While we don’t know why this is, it’s interesting to note that blood glucose levels tend to increase as we get older. With sufficient glucose available, ISCs will favor glucose metabolism over fatty acid metabolism in the mitochondria. Another study recently found that blocking pyruvate from entering the mitochondria in ISCs boosted their proliferation. In cellular metabolism, glucose is converted in to pyruvate which is then metabolized in the mitochondria. Thus, it appears that the activity of ISCs is strongly dictated by what energy source they metabolize. 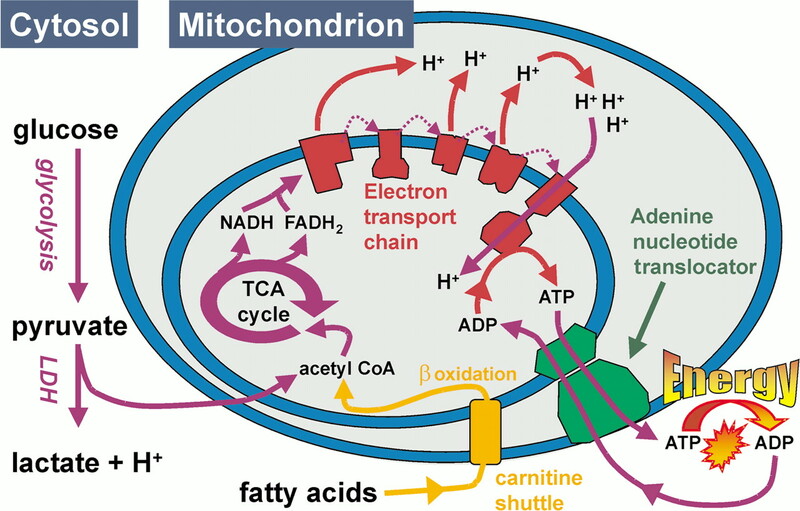 In the fasted state, when ISCs are forced to rely on fatty acid oxidation in mitochondria, this results in a greater regenerative capacity. Ultimately, this will lead to a healthier gut. What discussion on fatty acid oxidation would be complete without mention of the ketogenic diet? With the understanding that increasing fatty oxidation leads to a greater regenerative potential of ISCs, does this indicate that a ketogenic diet may be best to promote a healthy gut? Based on the mechanism identified in this study, I certainly think a ketogenic diet will improve the regenerative potential of ISCs. However, regenerative potential of ISCs is just one component of gut health. One significant problem with a ketogenic diet is that it’s low in fiber. When starved of fiber, microbes in our gut turn their hunger towards our inner mucus layer. In terms of ideal gut health, a thicker mucus layer is better as it keeps bacteria from directly interacting with the cells that make up the intestinal barrier. Of course, consuming fiber with a ketogenic diet would ameliorate this concern. Generally speaking, however, I’m not a big fan of constant exposure to a ketogenic diet. A more evolutionary correct approach would involve seasonal variation in the diet. We see seasonal changes in the microbiome of gorillas and modern day hunter gatherers as a consequence of food availability. This presents as a period of high fiber intake that promotes a microbiome filled with fiber-fermenting bacteria followed by a period of lower fiber/higher sugar fruit consumption that causes a microbial shift that consumes the inner mucus layer. This may be the ideal scenario with annual clearing of the mucus layer preventing microbial overgrowth in the mucus layer separating bacteria from the cells that make up our intestine. This may be where a seasonal ketogenic diet may be useful, to reduce the mucus layer for a period to clean it out. Periodically performing prolonged fasts or longer periods of fiber abstinence may provide similar results. Of course, a high quality, whole foods diet is preferable. 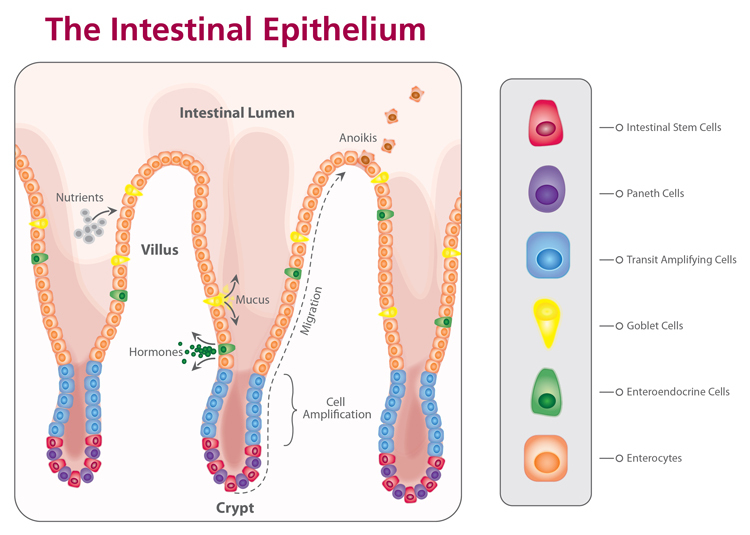 On average, the cells that make up our gut wall are replaced every 3 days. Additionally, our gut is exposed to damaging stimuli on a daily basis through the foods we eat. The health of the gut is ultimately dictated by the regenerative potential of the intestinal stem cells that reform and replace the intestinal barrier. This new study provides evidence that periods of fasting promote the regenerative potential of our intestinal stem cells by switching to fatty acids as a fuel source. Although this study didn’t address shorter periods of fasting, the mechanism by which fasting promotes ISC regeneration potential is something we should experience every day when we abstain from food for 10-14 hours. This evidence underlies the circadian dichotomy of needs where our active period is dominated by use and accumulation of damage and our rest period is dominated by repair from the days work. It’s no coincidence that our activity period is dominated by glucose metabolism as consuming meals raises blood glucose while our rest period tends to shift towards fatty acid oxidation as we fast. Going against this may be a contributing factor to the increase in functional bowel disorders we see today.